Oikos brand Greek yogurt from Danone now offers an organic product in two flavours, plain and vanilla. Made exclusively with organic milk from certified farms in Ontario, Oikos Organic yogurts contain no artificial flavours, sweeteners, or preservatives. Prepared using three times more milk than traditional yogurt, Oikos Organic products can be enjoyed on their own or as a protein-rich base for a smoothie, dip, soup or other recipe. According to the Canada Organic Trade Association, the appetite for organic food and beverages is growing dramatically, with 66 per cent of Canadian shoppers buying certified products every week. The trend shows no sign of slowing, with an impressive 83 per cent of millennials buying an organic food or beverage item at least once a week. 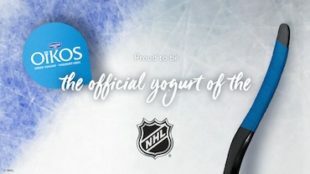 Oikos Organic Greek yogurt will be available in the organic and dairy aisles of major grocery and big-box retailers across Canada for a suggested retail price of $6.29 (625 grams).